And none for Kindle owners. 1. This bookmark shines a light on your current page. 2. This playful Final Fantasy 7-inspired bookmark. 3. This bookmark that will always save your place. 4. There's no place like the page you're on. 5. Gotta read 'em all. 7. 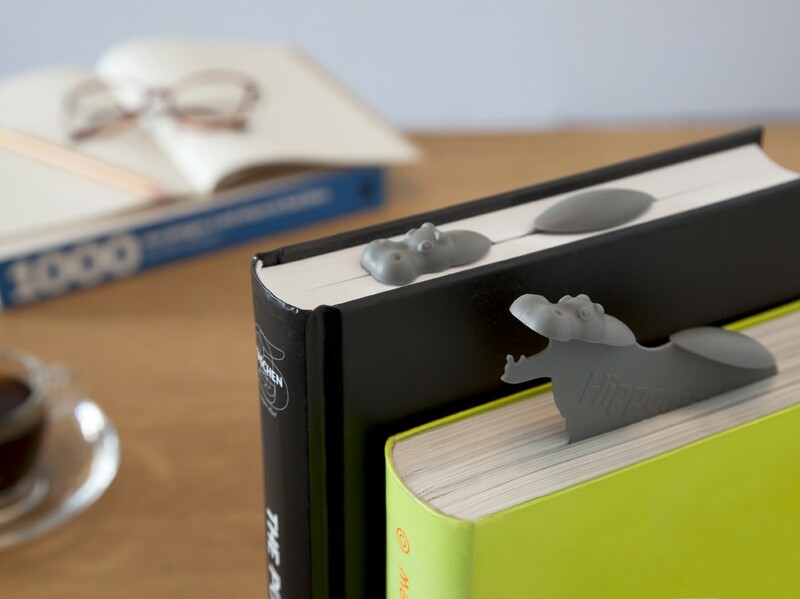 This fun floating hippo bookmark. 9. This bookmark will save your page and line. 10. These bookmarks will come in handy all the time. 12. This nutty squirrel bookmark. 13. These sticky blades of grass will hold your place. 14. This handmade homage to books and wine. 15. These bookish mice will guard your page for you. 16. These handdrawn owl pictures. 17. These simple wire page holders. 18. This "struggling bunny" bookmark. 20. Perhaps Carl can help you look up the right page. 21. This bookmark is a good reminder of why we read..
22. This bookmark will hold your page securely until you get back. 23. Whoever has this bookmark has power over the book. 24. Or you could just improvise.